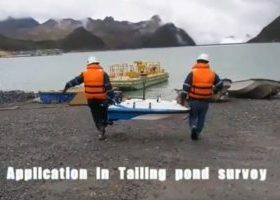 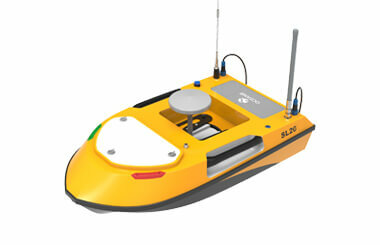 Both the USV and the survey instruments are operated by the base station. 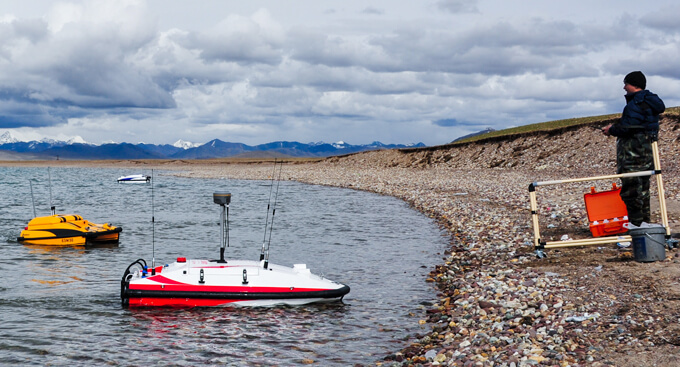 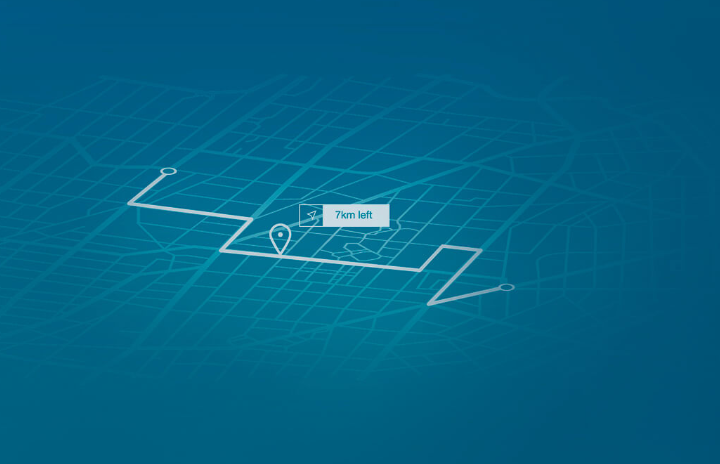 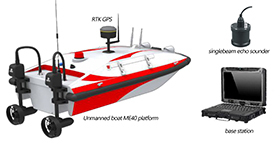 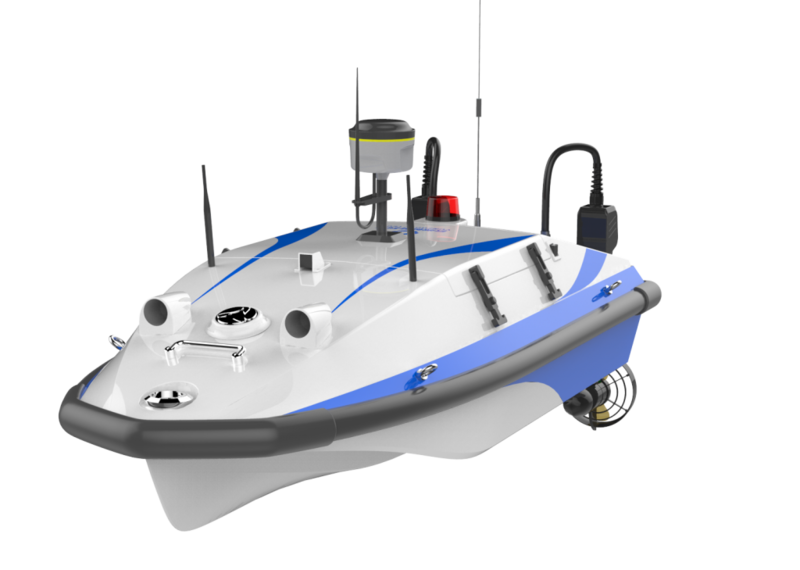 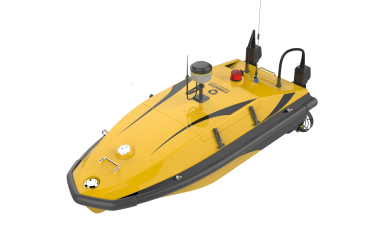 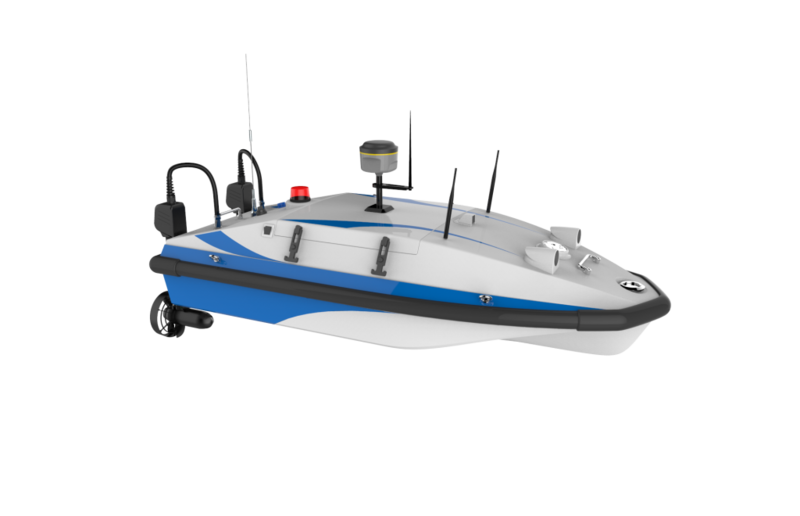 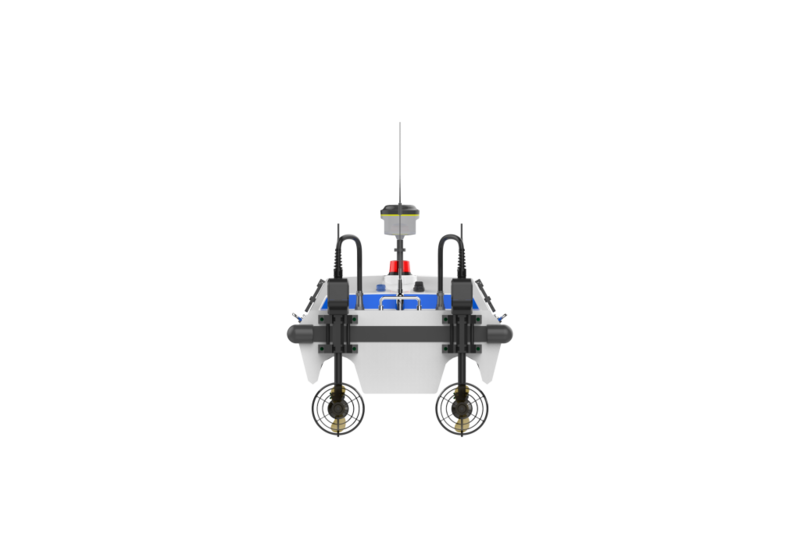 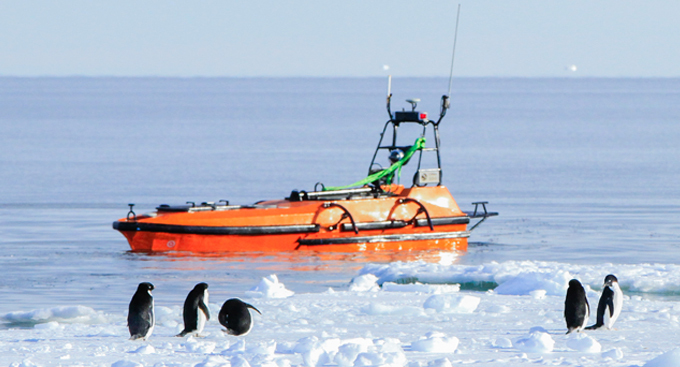 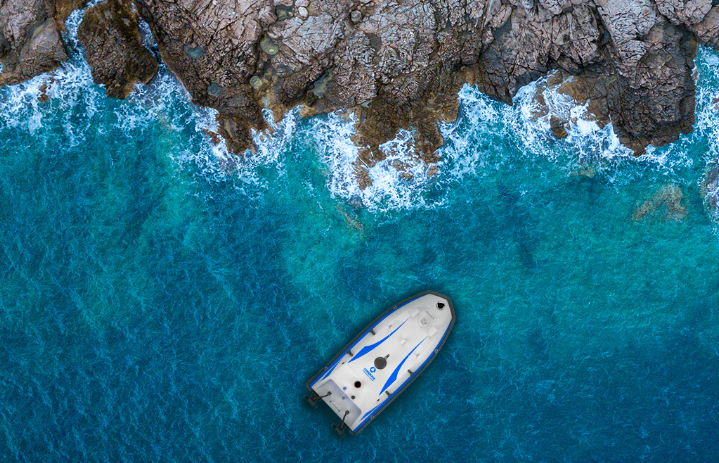 Navigated by the GNSS positioning system, the USV can autonomously complete pre-planned multi-purpose surveys by mission, and data can be sent back to operators in real-time. 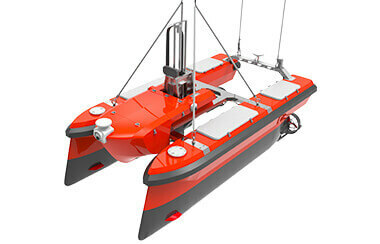 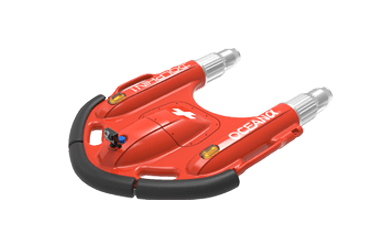 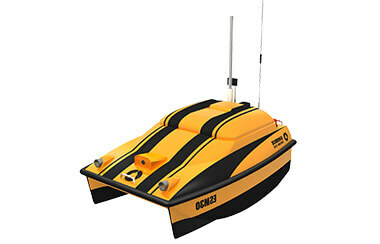 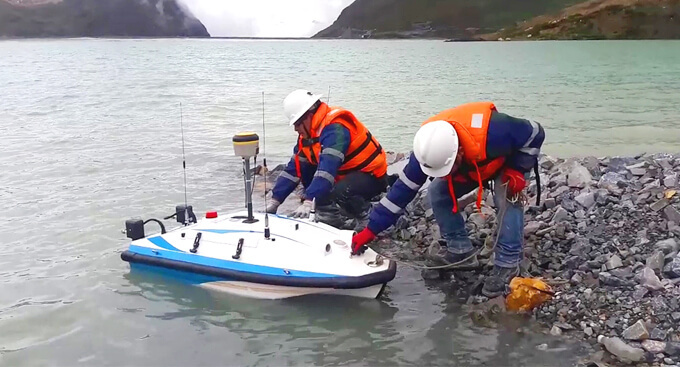 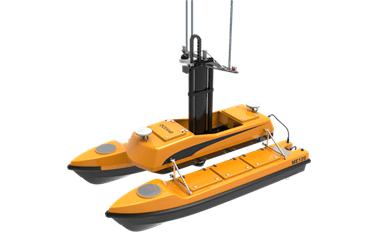 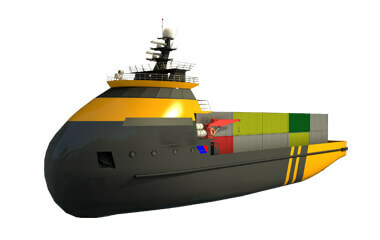 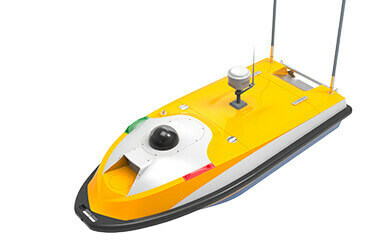 Operators can also control the USV manually within a 2km distance with the remote controller. 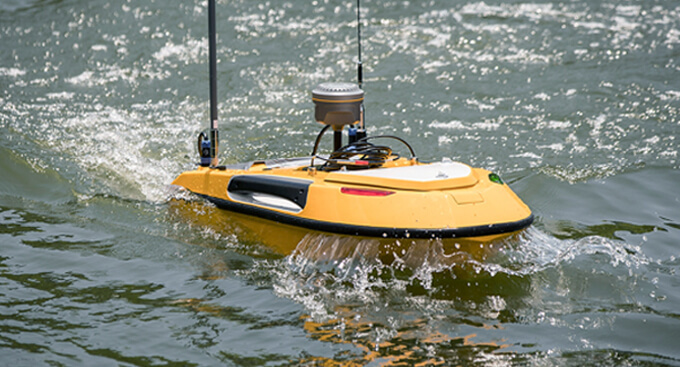 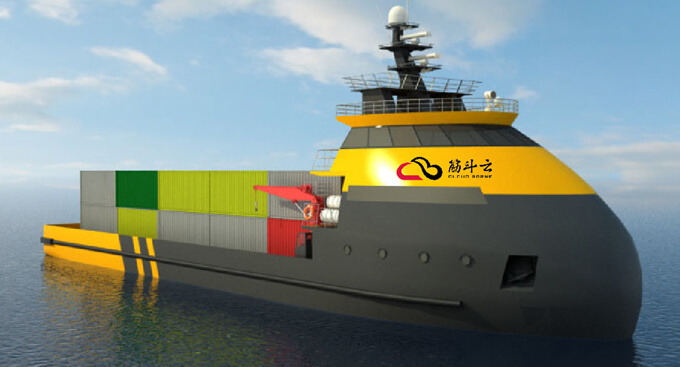 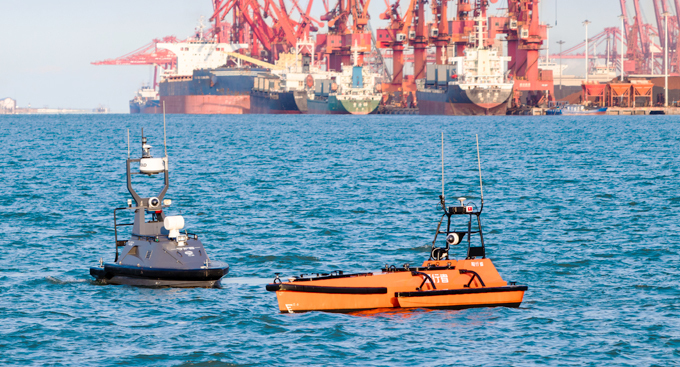 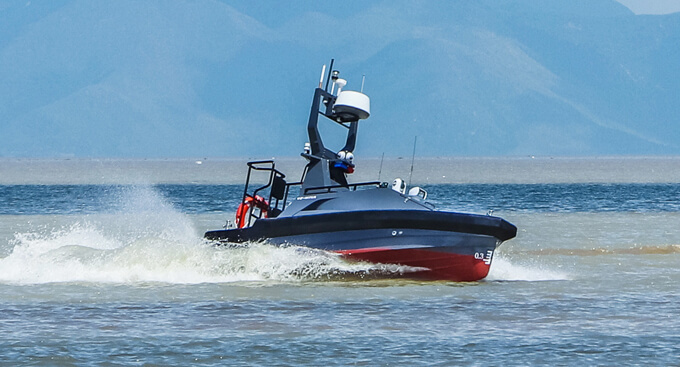 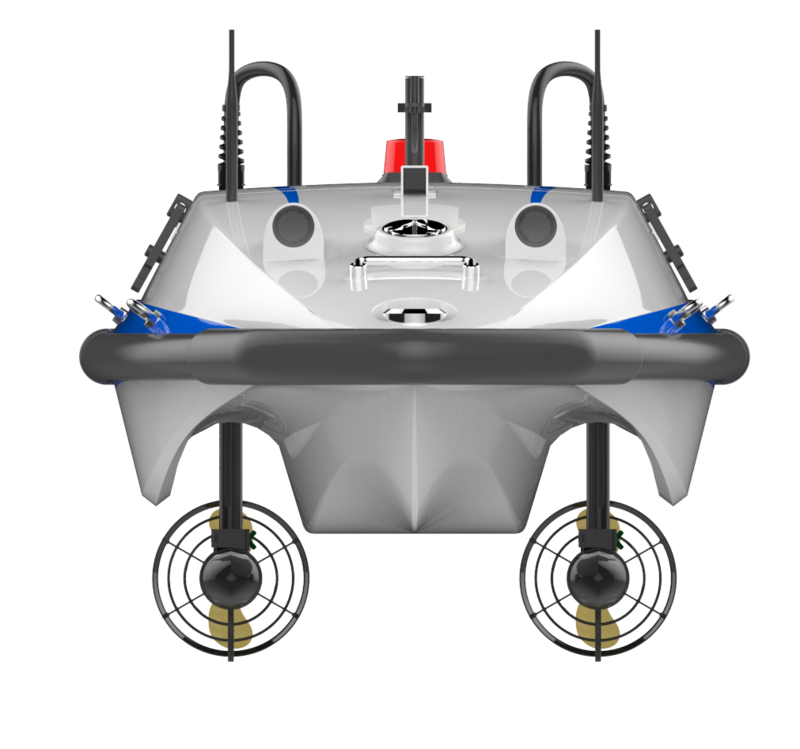 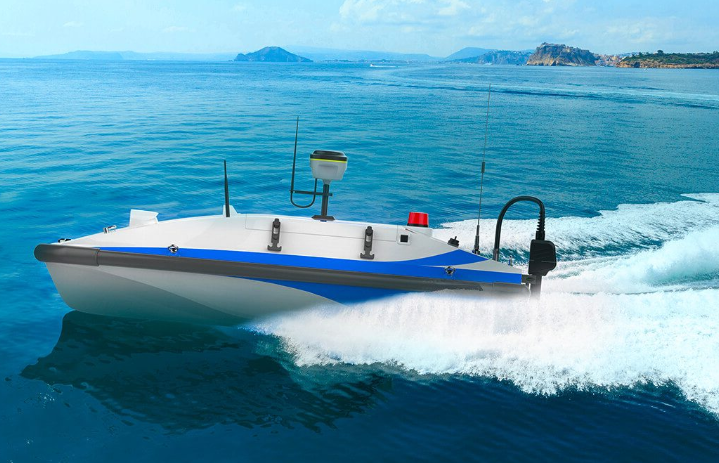 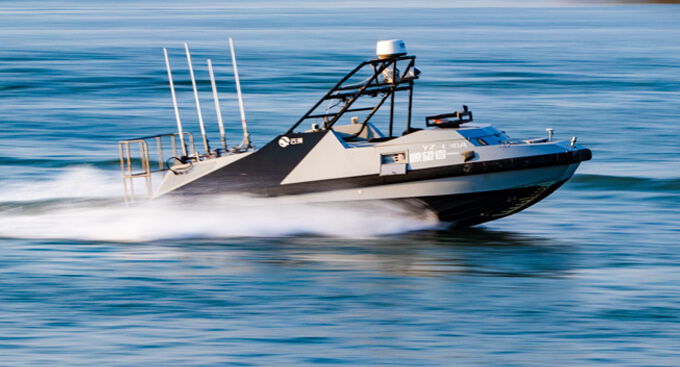 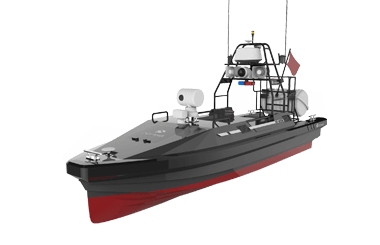 The USV is mounted with millimeter-wave radar, which can detect obstacles up to 50 meters ahead to avoid collision. 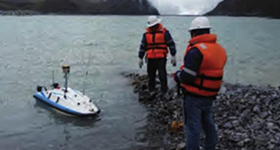 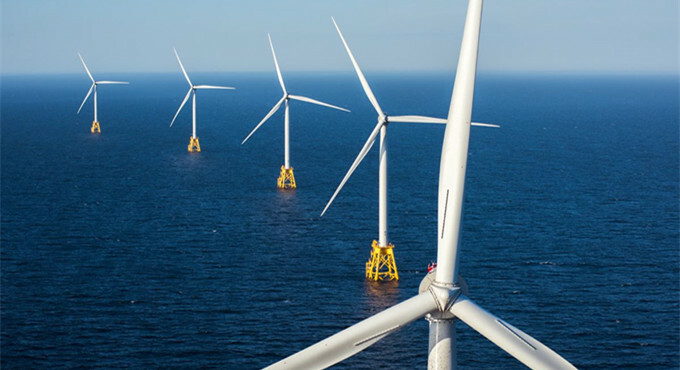 Operators can observe water environments using real-time video to better avoid obstacles when operating in manual mode. 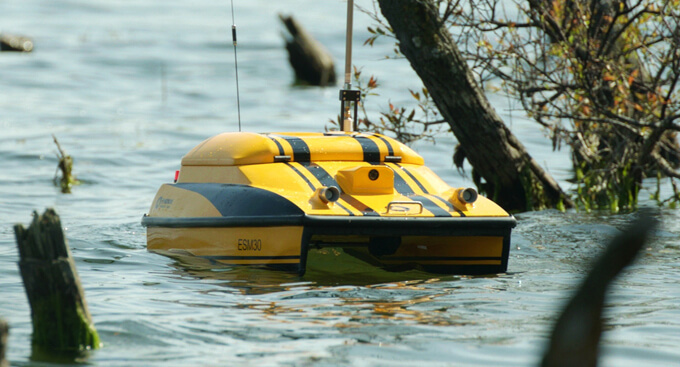 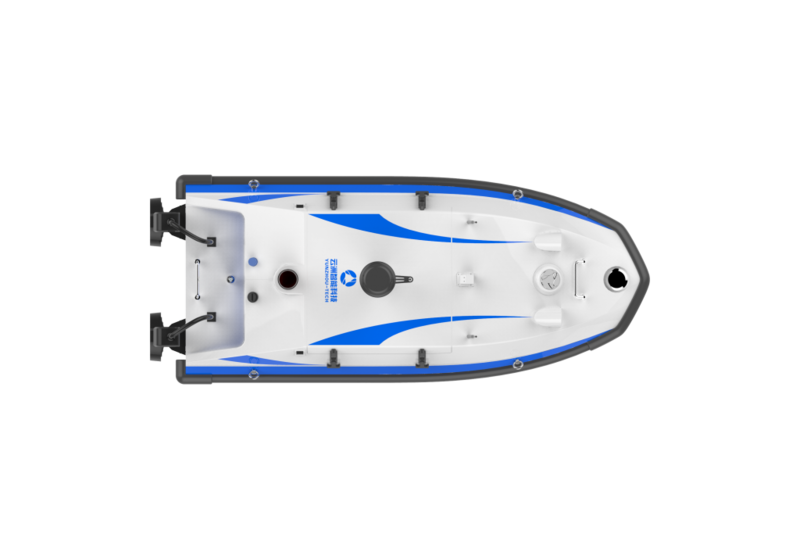 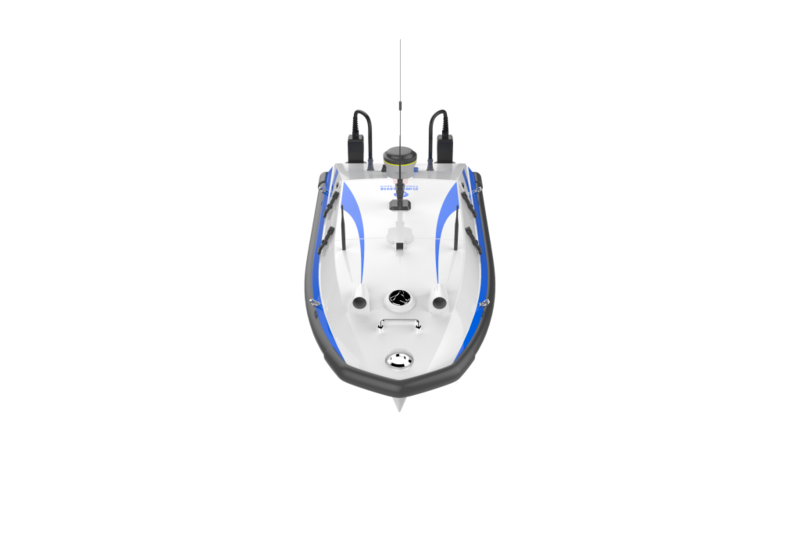 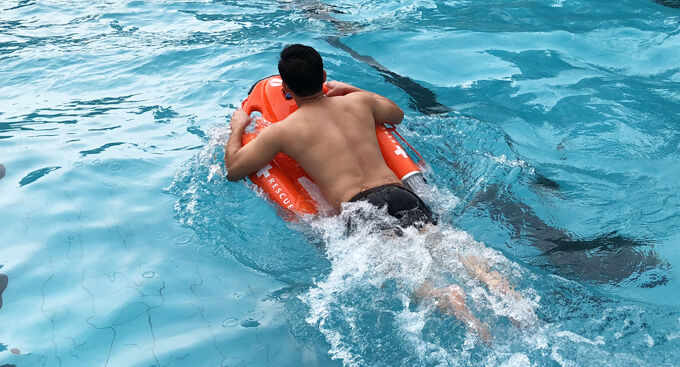 With the plug and play design, the high speed outboard motor is easy to maintain.